Not everyone needs to go to college. Plain and simple. Plenty of successful people found their way to happiness, success, and wealth without college education. And plenty of college educated people never found their way. Nowadays, in my humble opinion, college education is devalued and overpriced. However, the traditional dogma instilled in us from a young age is that you absolutely have to go to college to be successful. Let’s start with some “fun” facts about paying for college. On average, borrowers are carrying roughly four student loans each, up from less than three in 2008. Meanwhile, the average balance has increased to $29,000 from $23,000 (money.cnn.com). Students take on student loan debt at an astronomical rate. According to the same source, 40 million Americans now have student debt. It’s hard to put the preconceived notions aside but ultimately you have to weigh in on how much college will cost you (through borrowing and spending) and what will be the benefit expressed via lifetime earnings after graduating. Plus, not enough thought is given to cost/benefit analysis when selecting colleges and majors. I’m not against college education, In fact, I’m a firm believer in continuous education. I’m merely trying to make an argument that spending four years in college isn’t for everyone. There is no shame in taking an alternative path, in fact I think it’s brave and admirable. There are other ways to learn! There is on the job training. Some employers will pay for your education. There are inexpensive courses at your local community colleges that give your credits that you can transfer to a 4 year school. There are online certifications. There are local area meetups. There are books! Yes, you can learn from books! The point is, going to college to embark on a journey of self discovery might have worked for your parents, but won’t work for you now because it’s too darn expensive to get it wrong. Does a path to it leads through college? If you know the answer to the first question and you answered “yes” to the other questions, consider yourself lucky and skip to the next section. Most people won’t fall in this category and would need to explore different interests to find their passion before even getting to questions two and three. For those people I recommend to take a break after high school and find a job or internship in the area of their potential interest, take some courses at the local community college, find successful people who you admire and who would be willing to mentor you. Basically, show some initiative, experiment and explore without taking on debt that you will carry with you for decades to come. And when you’re ready, go back and revisit the three questions above. As I said in the beginning, not everyone needs to go to college. I can justify taking on a loan to pay for a computer science or an engineering degree at MIT if this is something you’re passionate about, but I’m having a hard time justifying taking on a similar sized loan to pay for philosophy and religious studies degree (see 10 worst majors forbes.com). That doesn’t mean that you shouldn’t major in philosophy and religious studies if this is something you’re passionate about, and can see a demand for it, and the path leads through college. 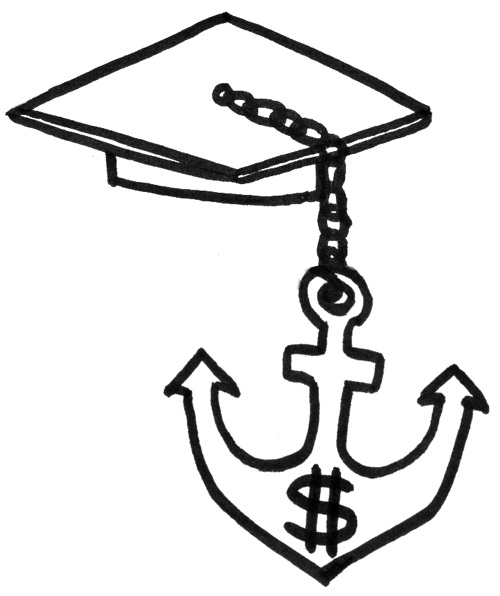 Just make sure that you assess your earning potential after graduating before you embark on this journey. Second, shop around for scholarships and grants, there are lot of them available some through schools, and through third party organisations. Sometimes private colleges will offer significant scholarships that could offset their higher costs. Just search online, you’d be surprised what you can find. Have you considered serving your country? You can receive up to $4.5K a year through Armed Forces Tuition assistance and up to $17.5K through Post 9/11 GI Bill for those with at least 90 days of active duty. 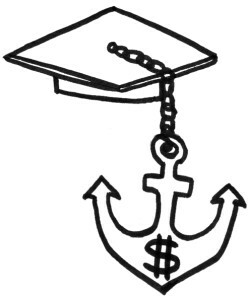 If you’re not in a position to put money aside for your kids college, don’t despair. Just read the section above to see what options exist for motivated students. If you’re able to put money aside, then explore 529 plans. These are fantastic college savings/investment plans with myriad of benefits ranging from tax breaks to estate planning. If you have children, you absolutely must investigate these plans. These plans are essentially investment accounts where money grows tax free provided it is used for approved educational expenses. Also, how about this, less traditional option from Rich Dad, Poor Dad by Robert Kiyosaki. Consider investing in a rental real estate property around the birth of your child. At least in theory, if you finance it with a 15 year mortgage and have the rent cover the monthly payments, then by the time your kid goes to college you can sell that property (fully paid for) and use the proceeds to pay for college. I realize that this is a sensitive topic and there is a lot to consider, so it’s important to keep an open mind. With that said, I would love to hear your thoughts on college education and how you go about saving and paying for college.